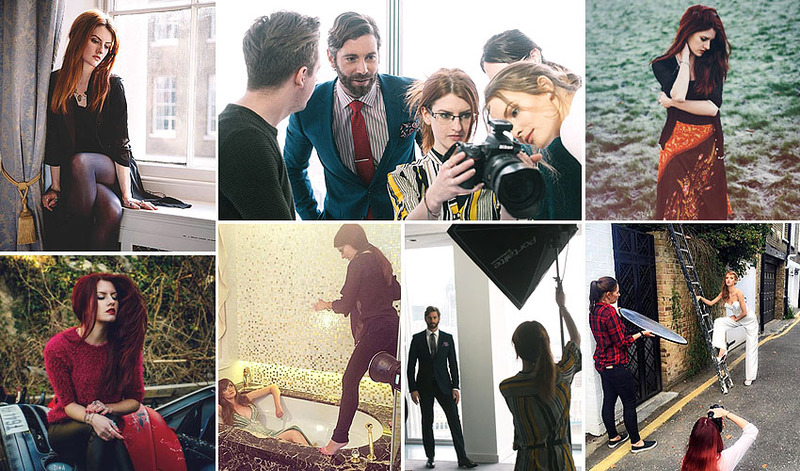 Emma-Jane is a London based Fashion, Social Media, Celebrity and PR Photographer. She started her career as a photographer in the picturesque Devon countryside. Building up a strong portfolio before moving to the city of London, having already developed a reputation for pushing boundaries and creating stunning visuals. As and editorial fashion photographer, as well as London, Emma-Jane has worked in Paris, Qatar, Tuscany, New York and Milan on fashion campaigns. Working with renowned fashion brands including Hawes and Curtis,Lilyrose London, Asquith, Nina Naustdal, Yull Shoes and Happie Loves It. She has worked with celebrities including Billie Piper, Sinitta, Vogue Williams, Janet Devlin, Zara Holland, Linzi Stoppard (who she famously photographed on the roof of Selfridges), Chloe Jasmine, Angie Best, Rik Makarem and Liam Fox. Emma-Jane has also created a unique brand in her social media work. Realising that brands need more than campaign imagery… this looks to work on a creative strategy to get sales up and imagery consistent. Creative create flat-lays, working with social media influencers and models.